A visit to Amsterdam should always start with a city canal cruise. 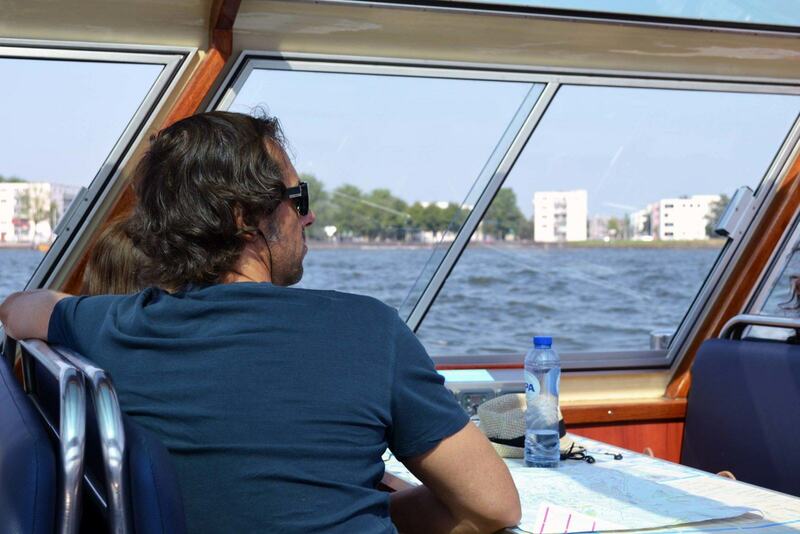 The luxurious canal boats from Blue Boat Company are ready to guide you through Amsterdam’s many canals. Our canals have been awarded UNESCO’s World Heritage status and taking this 75-minute City Canal Cruise will reveal why. Passing all of the city’s highlights – the famous 17th century canal houses, but also the modern, urban area’s at the IJ. Blue Boat Company offers audio commentary in 21 languages on every daytime departure (Dutch, English, Russian, Spanish, Chinese, French, German, Italian, Portuguese, Arabic, Japanese, Turkish, Thai, Polish, Czech, Croatian, Indonesian, Kantonese, Swedish, Korean & Hindi). We also offer a special story for our youngest guest: the “Wanted: Freswater pirates” kids cruise! Included in every childrens ticket is a booklet with games that go with the audio story. A Blue Boat City Canal Cruise is simply the most relaxing and fun way to see the city! Everyone does it and so should you! Take a picture at the I amsterdam logo. Tip: go to the logo as early in the morning as you, because during the day it will be really busy with people in front of, in, next to and on top of the logo. There are MANY bikes in Amsterdam and it’s a popular way for locals to get around. Rent a bike and hop on. You can rent a bike at MacBike, they have different locations in the city. Hang out at Museumplein (museum square)… Ofcours you should visit the museums like Van Gogh Museum and Rijksmuseum, but it’s also very enjoyable to just hang around the big square, especially with sunny weather. The Begijnhof is a not so hidden inner courtyard anymore in the heart of Amsterdam. It’s beautiful and suprisingly quiet. A group of religious and unmarried woman used to live here in a tight knit community. Cyling and beer? Two things that the Dutch like, so we came up with the idea to make a bierfiets (beer bike). The idea is simple: with a couple of people you’ll cycle through Amsterdam on one (bar) bike and drink beer.